Dingle has a wealth of places to eat. Gregory’s Garden offers breakfast, lunch and dinner with an eclectic menu for what promises to be an exciting dining experience. Chef Greg O’Mahoney brings his philosophy of using high quality, local produce to create the dishes for his menus. Greg’s passion for premium quality and taste is apparent in his creative and delicious dishes with a menu full of Spanish and French influences. As the name suggests Gregory’s Garden Restaurant is set in a large garden, which is used to grow organic herbs, vegetables and fruits all of which are used in his dishes as well as providing a lovely outdoor dining space for customers with special attention paid to lawn areas and scaled down furniture for little people. 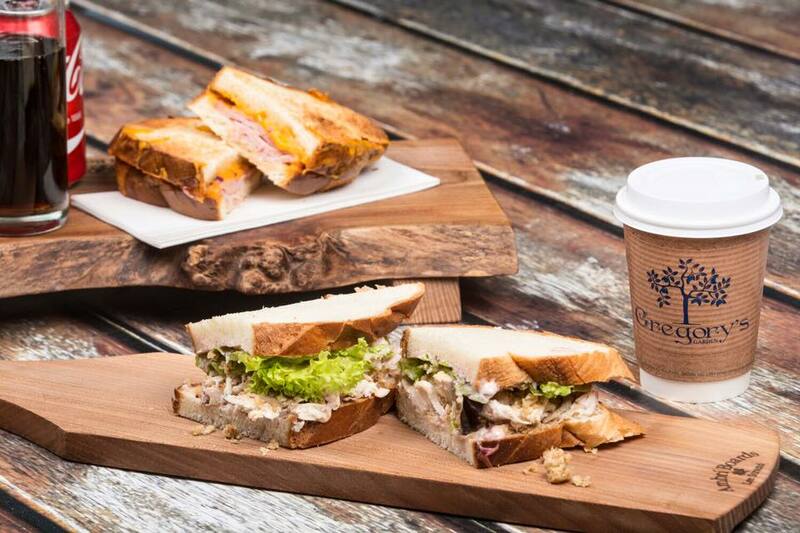 Gregory’s Garden Coffee House serves up beautiful, homemade, fresh goods every day. 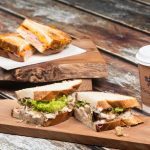 Call in and choose from our extensive sandwich menu, loaded with fresh fillings, served on sourdough – baked locally in Bacus Bakery, Cloghane and delivered fresh everyday. Enjoy mouth-watering and wholesome, flavour packed salads. Add a warm bowl of our homemade soup. Treat your taste-buds to sweet pastries and sip freshly brewed gourmet coffee and teas. Take out or eat in our many seating areas. The choice is yours. 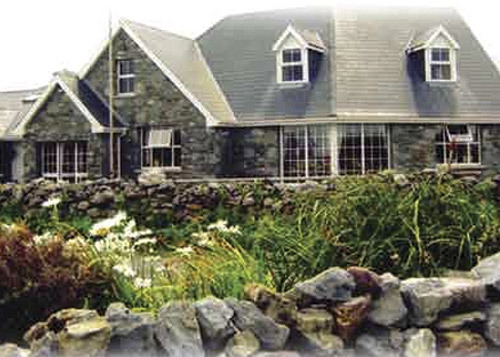 Spillane’s Bar is a family owned and run traditional Irish country pub offering good food and good service at reasonable prices; all with a warm welcome and a relaxed and friendly atmosphere set in the stunning Maharees, Castlegregory. Owners Marilyn and Mike have been serving up great food at Spillane’s for over 30 years. From crab claws delivered from the local pier, to Cromane Mussels, to homemade burgers, to legendary chargrilled steaks, the extensive menu suits all tastes and budgets. Apart from the busy summer tourist season, Spillane’s is considered the home away from home for many people from all over the world, especially the windsurfing and surfing community. Many of our regulars are families that have been coming on their holidays to the Castlegregory area for literally generations! 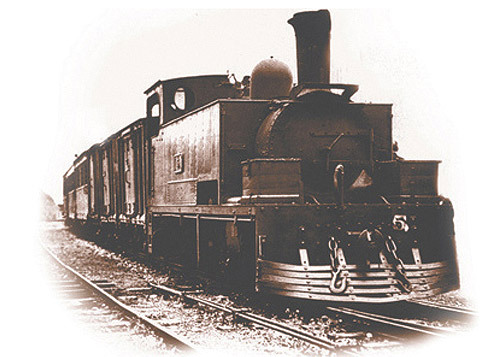 Come and enjoy their warm hospitality and welcome and discover the beauty of the surrounding Maharees Area. Delicious family food in an ideal setting. 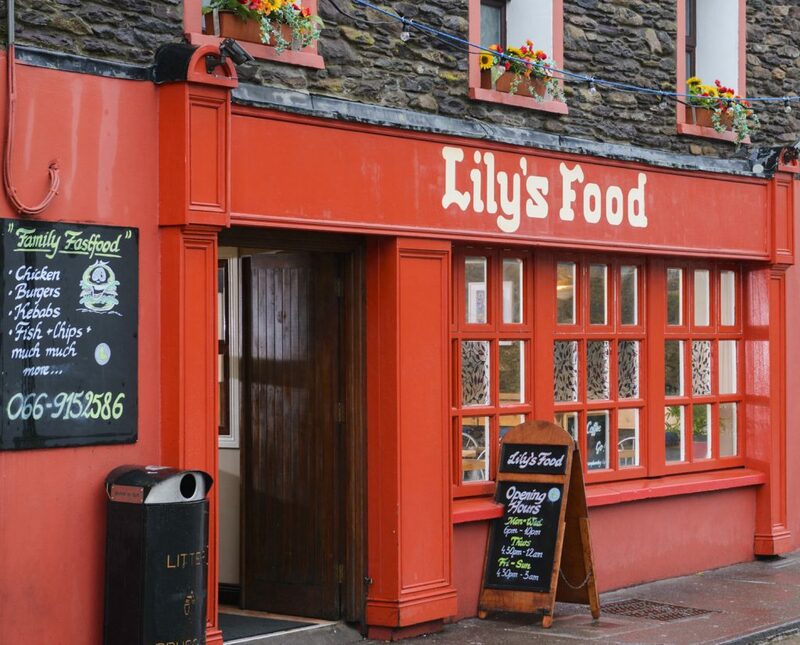 We know that eating out with children can be a stressful business if the restaurant does not cater well for diners young and old, so we ensure that your every need is taken care of when you come to Lily’s Food for a family meal. Centrally located at the foot of Main Street, just five minutes’ walk from Dingle Harbour and the Marina, we have a convenient location, too. We take care of our families at Lily’s Food. Our large dining area is well designed and laid out on one floor, so that you and the kids can get to and from your table with ease. No more squeezing through tiny gaps between tables with all your baby equipment! Lily’s Food is pushchair friendly, and welcomes little ones of all ages, with baby chairs and a bright and spacious changing area for the smallest guests. Bigger kids can browse through our selection of books, when the adults want to catch up. Your kids will love our children’s menu, and the adults in the family will find plenty to tempt you at Lily’s Food too. From tasty chips served with freshly battered fish just off the boat to delicious burgers and our special taco fries, there is something on the Lily’s Food menu for all the family. We know that eating out with the family in Dingle can be expensive, so we make sure it’s an affordable treat that you don’t have to save for a special occasion. 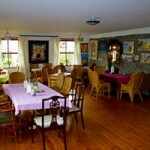 Family dining in Dingle has never been easier. The Phoenix Restaurant is an award winning Vegetarian restaurant run by Lorna Tyther, a vegetarian cook with a training in macrobiotic and holistic cookery. Salads, vegetables herbs and fruits come straight from the kitchen garden, the fish is fresh from Dingle and Lorna insists on using organic whole foods, local cheeses and produce. The restaurant is open all day for fair-trade freshly ground coffees, garden fresh herbal teas, homemade soups, mouth watering tapas such as caramelized carrot and onion Dahl flavoured with coconut and lime or grilled artichoke hearts and a tangy cracked pepper and lime hummus. The mains include a pungent curry of smoked tofu, sweet potato and chick pea, quinoa, millet and lentil bake served in a sizzling rich tomato sauce, or chef’s pasta with garden fresh pesto, ewes feta and marinated olives. Or, you could try the grilled salmon with oven roast vegetable or the Thai style seafood pasta. All their desserts are homemade and delicious! There are always plenty of gluten free, dairy free and sugar free dishes to choose from and the Phoenix Restaurant specializes in catering for dietary needs. The Stonehouse Cafe & Restaurant is one of the most unique restaurants in the world; situated on the world famous Slea Head Drive on the Dingle Peninsula, it overlooks the vast, blue, Atlantic Ocean and the Skellig Islands. Here you will enjoy spectacular coastal views, cosy fires and old world ambience. 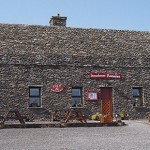 This popular Dingle Peninsula restaurant serves excellent bistro style food in a genuine Irish ‘Stone House,’ the entire building is constructed in stone, keeping with the time honoured tradition of the area. 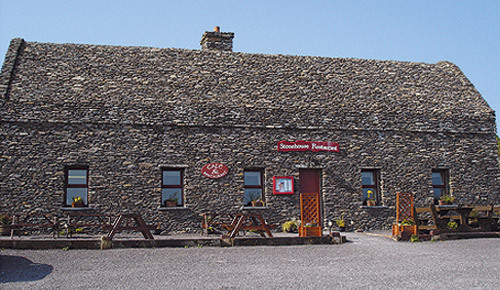 The Stonehouse Cafe & Restaurant is also adjacent to one of Ireland’s most famous prehistoric sites, Dún Beag Fort & Visitor Centre (9miles/14km from Dingle), which welcomes visitors from all corners of the earth every year. Enjoy morning teas/speciality coffees, scones, home baking, local fresh seafood dishes, traditional Irish food, lunches, evening meals and takeaways. 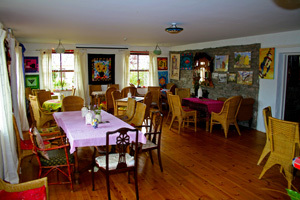 The Stonehouse is also the ideal place to drop in for a spot of afternoon tea or coffee as you journey around West Kerry – their home-made scones, fresh breads and cakes are worth the visit! With such spectacular scenery and its unique stone-work surrounds, visiting the Stonehouse Restaurant is an experience in itself. Open: All year, 7 days – Low season: 11am -5.30pm. High Season: 10.30am-9pm. The Dingle Bay Hotel is located by the pier and marina in Dingle town centre. There are two areas for you to enjoy a meal, elegantly designed and spacious Paudie’s Bar and Long’s Restaurant which also has private dining areas. Extensive menu full of delicious local produce. Local fish and seafood are our speciality. Breakfast is served in Long’s Restaurant, where you can enjoy a delicious cooked to order breakfast. You can choose from a full Irish breakfast of local produce, Dingle Bay kippers, fresh fish direct from the boats at the pier across the road or many other choices. The food at the Dingle Bay Hotel has been a long standing favourite both to locals and visitors alike. With local produce a priority, it’s proximity to the pier ensures the very best in the freshest of fish and seafood, with a wide selection of dishes and snacks served throughout the day. Relax over the morning papers with freshly brewed coffee and oven fresh scones. The lunch and dinner menu attracts many casual diners due to the variety of dishes offered. You’ll be spoilt for choice with all the options! 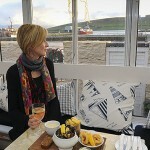 The Boat Yard Restaurant in Dingle is located just across the road from Dingle Pier and Marina on the Wild Atlantic Way. 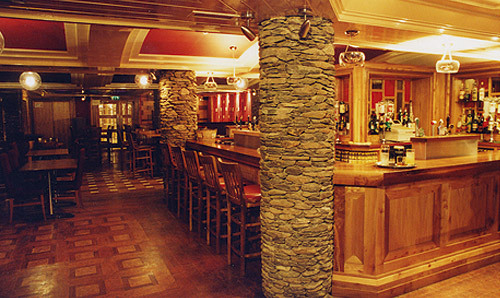 With stunning views of Dingle Harbour and Dingle Bay, our restaurant and bar allows you to soak up the unique character and atmosphere of Dingle town in a relaxed, cosy and friendly setting. Serving the very best of fresh Dingle and Kerry produce, our fish comes straight to us from the local fishing boats and our meats and vegetables come from local farmers in the area. Lobster, Crab Claws, Clams, Prawns, Monkfish, Calamari… Succulent Steaks, Homemade Burgers, Kerry Lamb, Gluten Free Dishes (including our classic Fish ‘n Chips)…sinful Desserts…a fully licensed bar. Enjoy our tasteful nautical décor that celebrates the maritime traditions of Dingle, our fresh bright ambiance with soft cushions and furnishings, and on a special evening, experience the glow of a Dingle Peninsula sunset as it casts its last rays over the harbour. Family Friendly • Excellent Value • Great Friendly Service Groups, Special Occasions & Outdoor Catering – All Welcome! 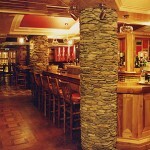 Dannos Restaurant & Bar serves a range of quality food direct from fishing fleet and farms of the Dingle Peninsula. A Dingle gem that doesn’t cost the earth. 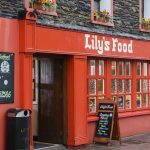 Situated on Strand Street, just beside the scenic promenade of Dingle Pier – it is known far and wide as one of the town’s best eateries and one of Dingle’s best pubs. The big talking point in Dannos has to be the food – proprietor, chef and local character Danno O’Keeffe is known far and wide for his delicious, honest, home-cooked food. Here you will find local produce at its very best – from homemade burgers cooked to order on the grill to traditional Fish ‘n Chips (made using fresh fish off the boats nearby at Dingle Pier). 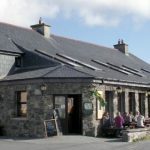 Dannos Restaurant & Bar is also one of Dingle’s favourite place to host functions and events – Danno breaks out the BBQ Grill, in their outdoor beer garden (which also has an enclosed area if the weather is less than favourable) cooking burgers to order while guests enjoy the atmosphere and perhaps a drink or two. Engagements, birthdays, wedding after-parties, sporting socials, you name it, Danno has hosted it. 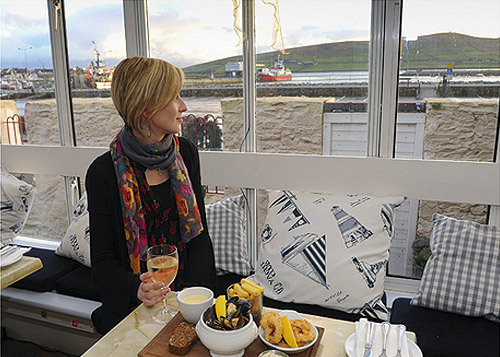 Islands Seafood Restaurant is famous for it’s fresh seafood dishes, in a heavenly location at the top of the Scraggane pier with panoramic views of the breathtaking scenery of the Maharees Islands. You will experience divine cuisine and their sinful desserts are a must! A member of Seafood Circle of Ireland. Islands Seafood Resturant is located on-site at Harbour House & Leisure Centre on the Dingle Peninsula which is superbly located at the head of the Maharee’s Isthmus, which is to the north of the village of Castlegregory and halfway between Tralee and Dingle in the South West corner of Ireland. 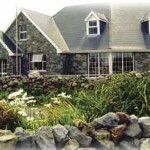 The Maharees offers the magical beauty of mountains, lakes and sea, and is renowned for its Blue Flag sandy beaches, clear water, flora, fauna, peace and tranquillity which are removed from the hustle and bustle of urban life and everything associated with it. 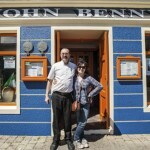 John Benny Moriartys offers superb atmosphere, food and music. Trip Advisor Award of Excellence 2012 & 2013. Locals John and Eilís are both musicians and great hosts. Gaeilge ague fáilte. There is something for everyone on their ever-changing menus and you can get your fill of tasty treats with breakfast, lunch and dinner. 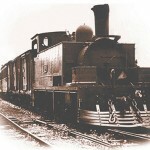 A great place for groups, families and events. They offer waiter service and also take away. We teamed up with our friends at Dingle Bay Charters who run daily fishing trips from the Marina. You may like to taste your catch and we can see to it that you do! 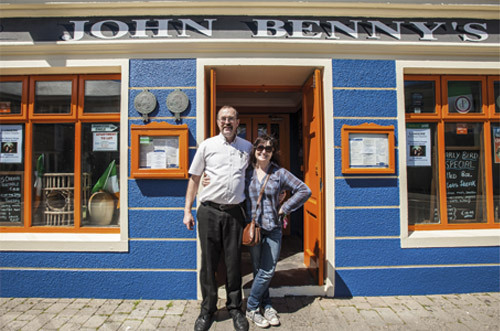 Just ask your skipper to call ahead from your trip and then bring your fish – which our chef will prepare and cook so you can enjoy a truly fresh meal in John Benny’s. Sample dish: Irish Stew – Hearty chunks of Kerry Lamb with root vegetables, pearl barley and potato – €12.95. Tom Crean’s local beer on tap.